You all know I loooove to online shop, and one of my favorite places to shop online is Wayfair. Tons of pieces in our home are from Wayfair, so when they asked me to partner in sharing about their best sale of the year, I was in! 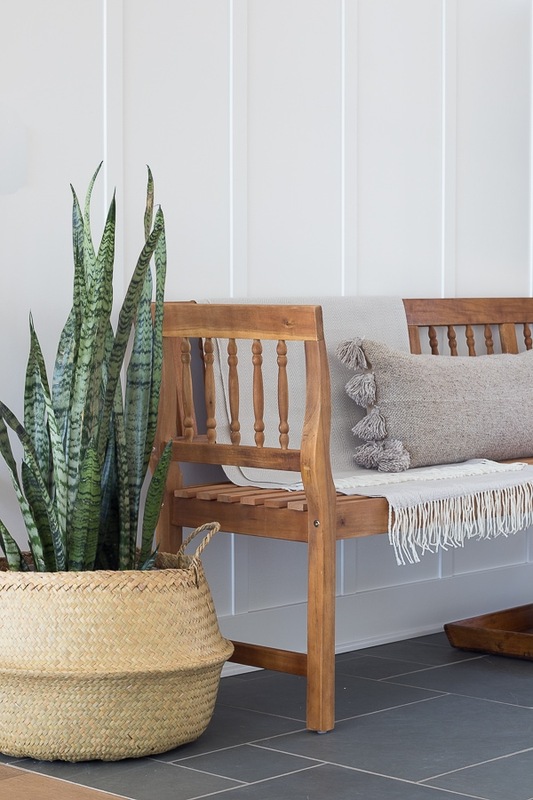 It’s Wayfair Way Days 36 hour sale today and tomorrow, and these are the best prices you will find on everything from Wayfair. Wayfair is offering free shipping sitewide with up to 80% off rugs, bedding, furniture, lighting and more! 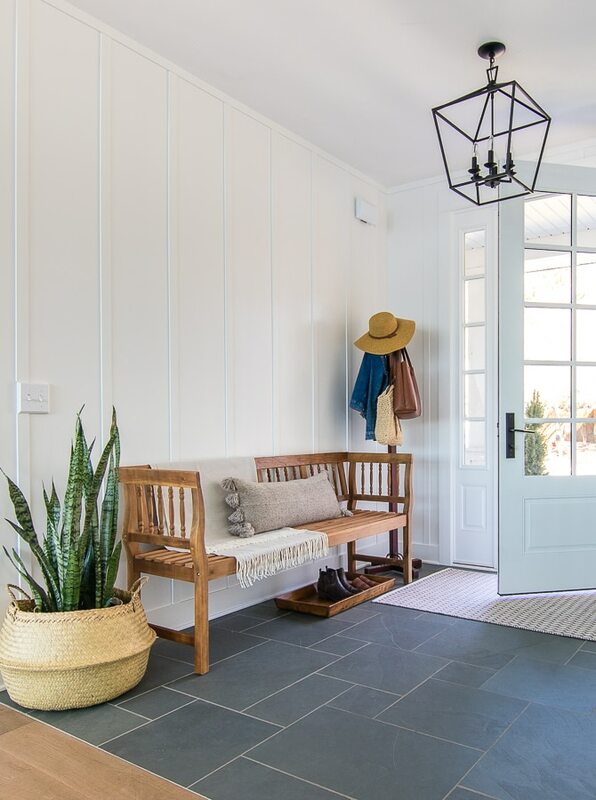 I did a little refresh of our entryway here with a few new Wayfair pieces and I’ll also link to all the other Wayfair pieces in our house below as well. My $15 flea market bench was always a little small for this space, so this new longer bench fits the space so much better and I love the lighter wood for spring/summer. 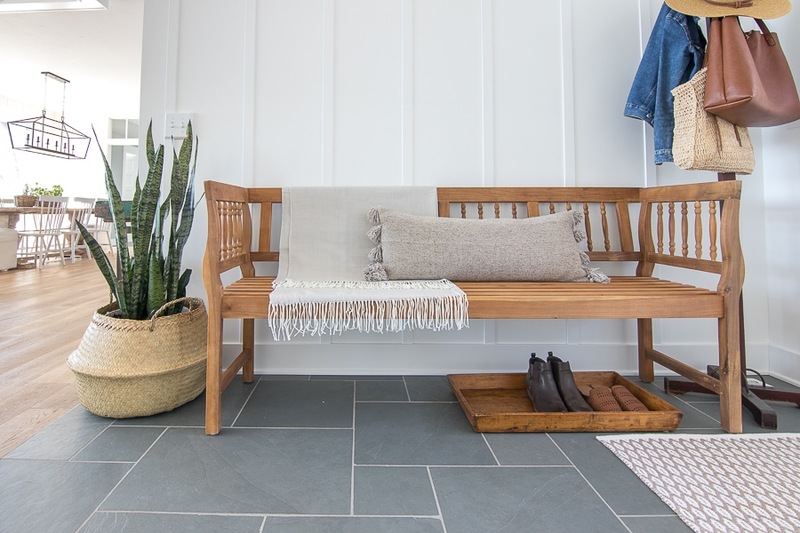 It’s actually an indoor/outdoor bench, so I could totally see this looking so pretty on a front porch as well! 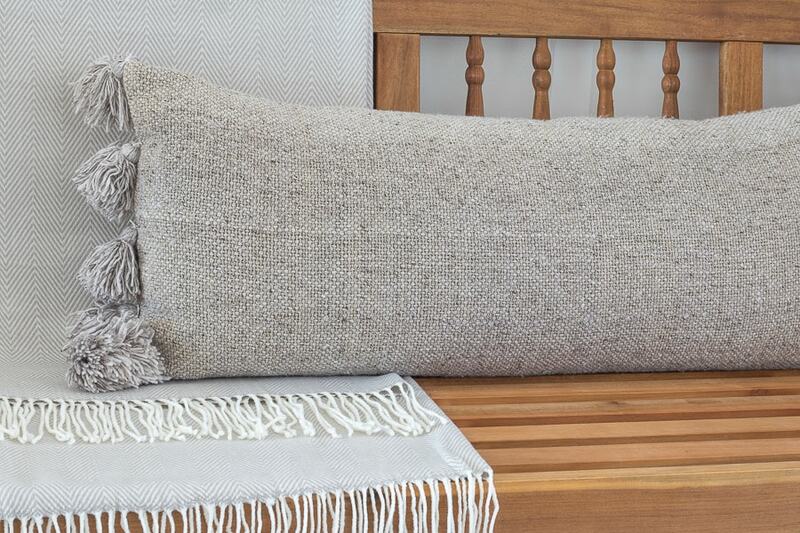 I added this cozy but lightweight throw for spring and a fun neutral lumbar pillow. I love the shape of this pillow it would be great on a bed as well. My fiddle fig tree didn’t love the draft over here all winter, so it relocated to the living room and a new snake plant found it’s home in this sweet basket also from Wayfair. I haven’t had a rug in here forever because I couldn’t find something I loved that wouldn’t compete with the floor pattern. I love this neutral option that will hopefully hide the sand coming in all summer and keep the flip flops at bay. The color is really subtle but it adds a nice texture to our space. 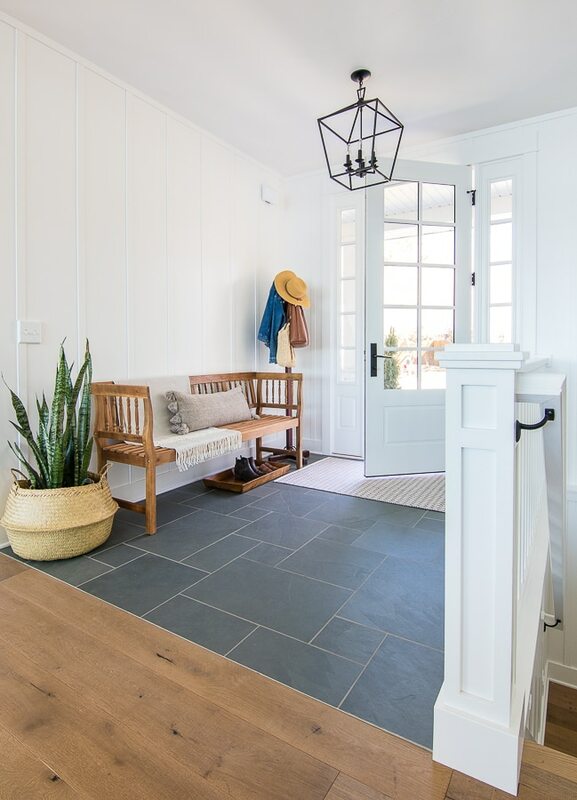 This space feels so fun and fresh and ready to welcome spring and summer! I’ve linked below all of my other fave Wayfair items we have in our home, many of which are on sale today! Check them all out below and be sure to hit up the WayDays Wayfair sale before it ends tomorrow. You can see all the great sales here. I’ve also included a few pieces below that I don’t have in my own home but they are some of their best selling items that are on super sale today! Hey Karen, I liked the black too but it didn’t look right with the arms on our new living room chairs. When you see it all in the space at once it makes more sense, the old bench didn’t work with the new living room. I loved the bench on it’s own if we didn’t have such an open floor plan, thanks! Absolutely love Wayfair! Can you tell me what size basket you have next to bench? 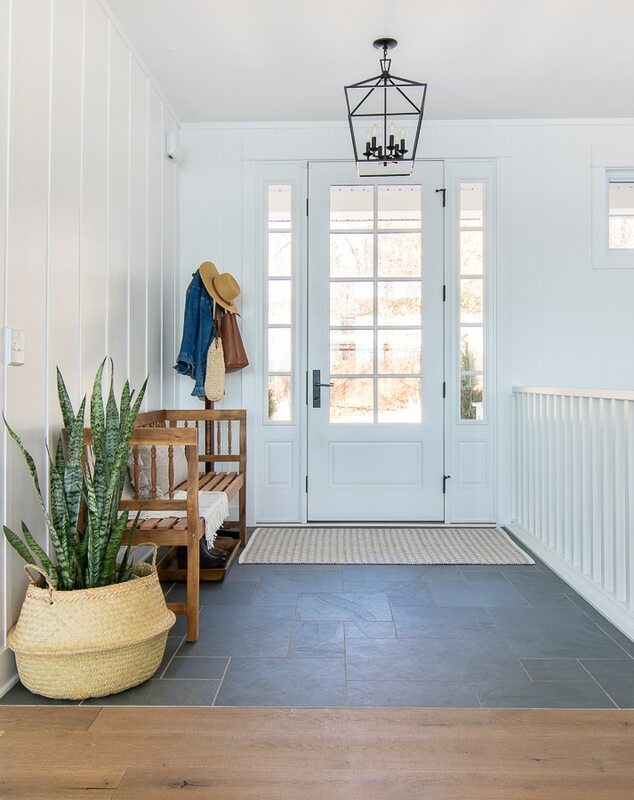 I think it would look great by my entryway ! I think this was the large size, it’s such a great basket! Kelly, your posts are the dessert to the end of my day! Thank you for sharing your home and great ideas. Oh you are so sweet Tracy, thank you SO much!! 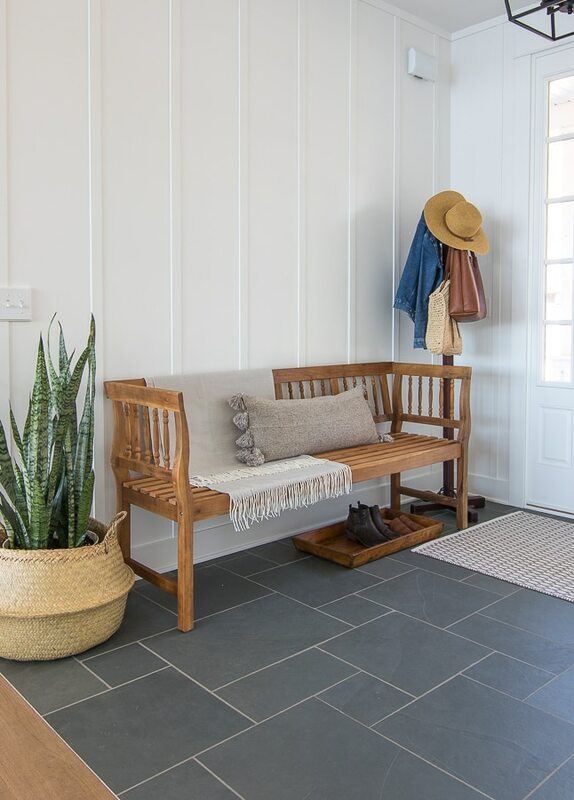 I have been exploring ideas for my entryway. Loved the idea of a neural option as it can be very useful in summers.